The conference will be held in lecture theatre B01 of Clore Management Centre, Birkbeck College. 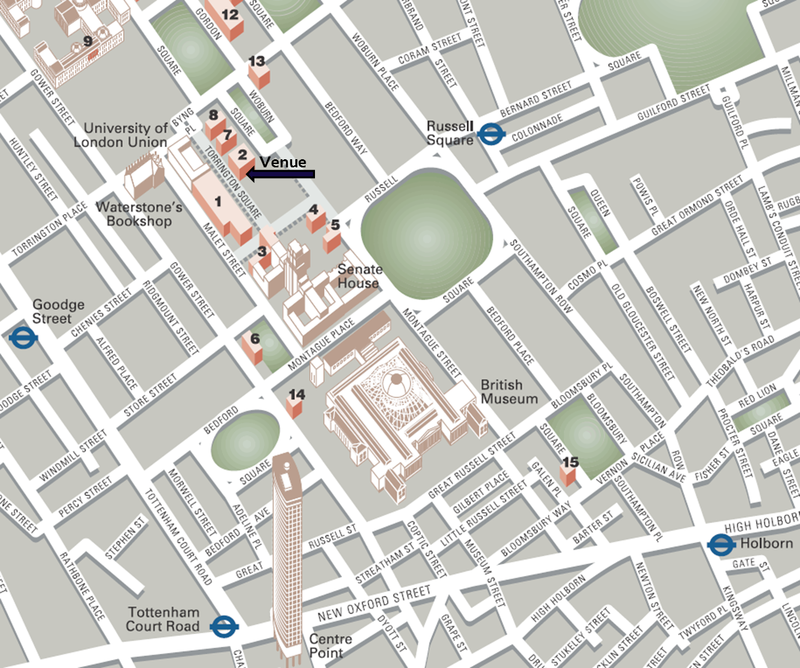 Clore Management Centre, building #2 in the map below, is on the opposite side of Torrington Square from the main Malet Street building (#1 on the map) where most London Futurists meetings are held. Click on the map to view a larger version. Torrington Square, which is a pedestrian-only square, is about 10 minutes walk from either Russell Square or Goodge St tube stations. Thanks to Mark Goodman, Planet Organic (22 Torrington Place: point A on the map), have agreed to offer all attendees of Anticipating 2025 a 10% discount on food purchased from their hot food counter this weekend. Show your conference namebadge to obtain this discount at the cashier tills. In case of any problems, you can speak to speak to the Planet Organic Duty Managers, Jarmila or Ela. The network name (or SSID) is Birkbeck-WAM. 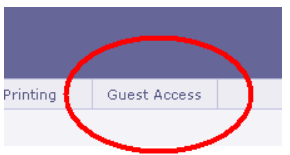 Click the “Guest services” option when you reach the Birkbeck IT Services page in your web browser. You’ll be prompted for the username and password after that. For more details, see this Birkbeck leaflet. 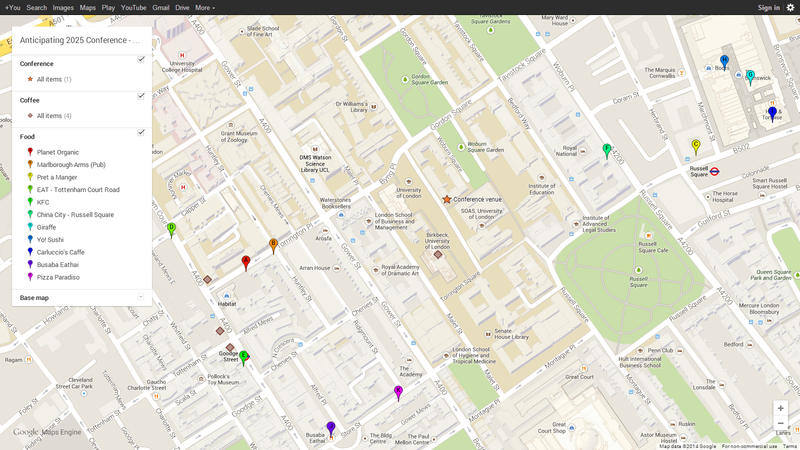 Birkbeck say that their wireless network will cope with at most 50 simultaneous users. In case of low bandwidth avaiability, please consider using a cellular connection (3G etc) instead. When tweeting about the conference, the hashtag to use is #Anticipating2025.